With more than 70,000 farmers, Alberta is a community that relies on agriculture. An important part of the economy, agricultural production is important to Calgary. Whether you are purchasing or selling property or need to know the value for any other reason, we can help. 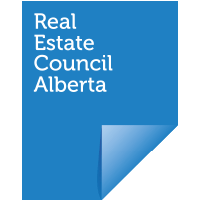 We provide you with a high quality farm & acreage appraisal in Calgary. Our team of experienced professionals understands the valuation of these types of specialty properties. When you need to know the valuation of your farm or rural property you want to make sure that you get an accurate farm & acreage appraisal in Calgary. Whether you need the valuation of a working farm or a hobby farm, we have the expertise to provide a highly accurate report. Working farms are most commonly agricultural land, livestock operations or equine properties. These types of properties are unique and can be difficult to appraise. Proper appraisal requires the expertise of a skilled professional with experience valuing these types of properties. Hobby farms are slightly different than working farms and may be a combination of both residential and agricultural properties. This hybrid can create a unique property that requires an expert appraisal. This type of property is not easily compared to a working farm and is also not exactly a residential property. Yet it holds quite a bit of value that needs to be properly captured in the appraisal. 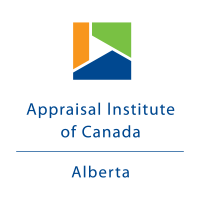 There are many reasons why you may require a farm & acreage appraisal in Calgary. Certainly when you are preparing to sell your property it is of utmost importance to know the market value before you place it for sale. When you want to buy a property you want to make sure that it is priced fairly according to market value. You may also require an appraisal of your farm or rural property for tax purposes. The value of your property is important when you are working with tax evaluations such as for capital gains. Another reason for completing a current appraisal is for succession planning. You need to know how to value the property so that you can properly distribute it among your heirs as part of your estate plan. Regardless of why you need an appraisal, when you request one you want to rely on its accuracy. Our experts have years of appraisal experience working with all types of properties including farms and rural acreage. Our team understands how to properly evaluate the various components of the property to ensure adequate market value is noted. We take the time necessary to properly review and assess the property using industry standards. We may use a combination of professional appraisal methods to arrive at the accurate market value. Our team has handled many farm and rural property appraisals so we know the complexities of such property. When you are in need of an appraisal, count on our team of highly skilled appraisers to provide you with correct results. Call us today to schedule an appraisal.